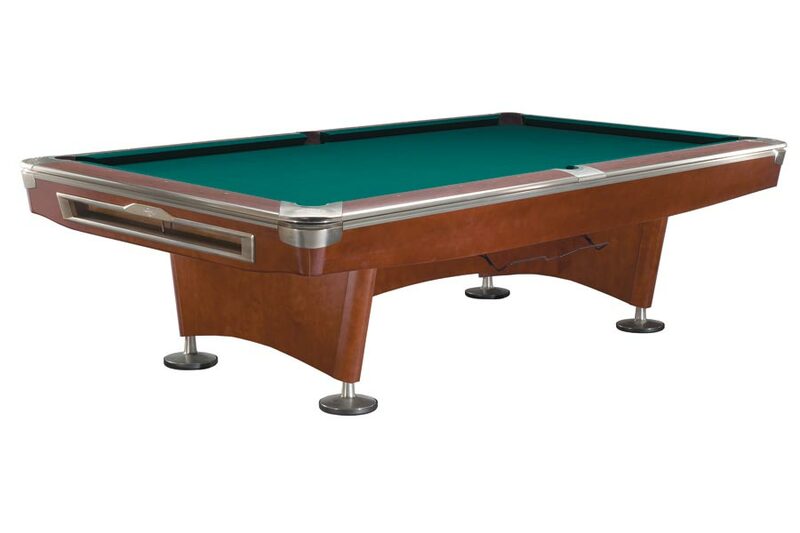 First introduced in 1961, the Brunswick Gold Crown has reigned as the industry standard for a professional pool table. The Gold Crown V continues this tradition with classic line and updated details. Available in 9 ft only. The Brunswick Gold Crown has been the professional standard for over 50 years. Shown in Mahogany with nickel trim.